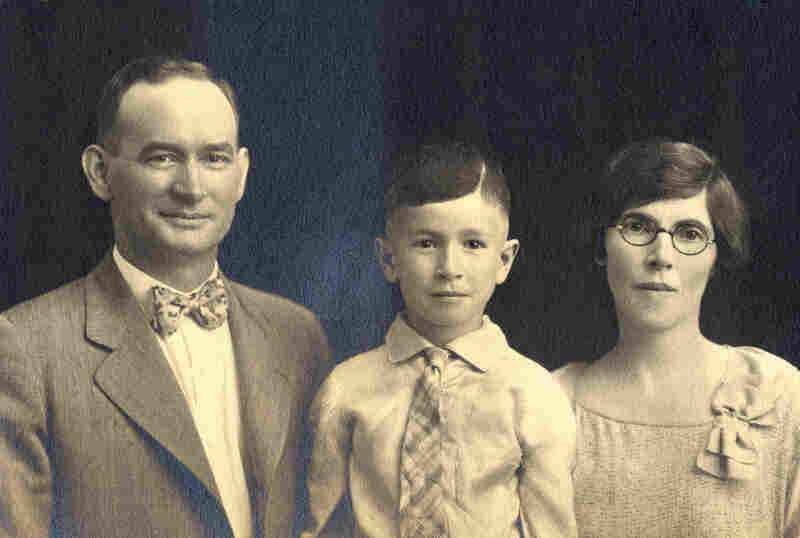 Found In The Archives: America's Unsettling Early Eugenics Movement : The Picture Show A small collection of photos is one of the few existing visual reminders of the American eugenics movement. The shadow selves of American history often don't leave much of a photographic record, but sometimes there are just a few shards of proof and reminders of what has happened. 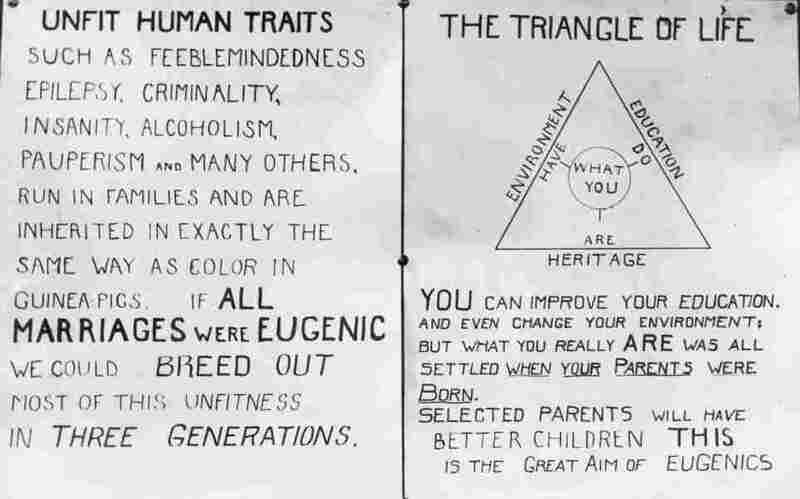 Eugenics, a dark offshoot of the science of genetics, was an early 20th century movement that sought to prevent social ills by seeing that those who caused them were never born. The movement produced an awful lot of books, tracts and pamphlets, but it didn't leave behind much in the way of photographs. The winners of the "medium family class" of a "fitter families contest" pose at the 1927 Kansas Free Fair. 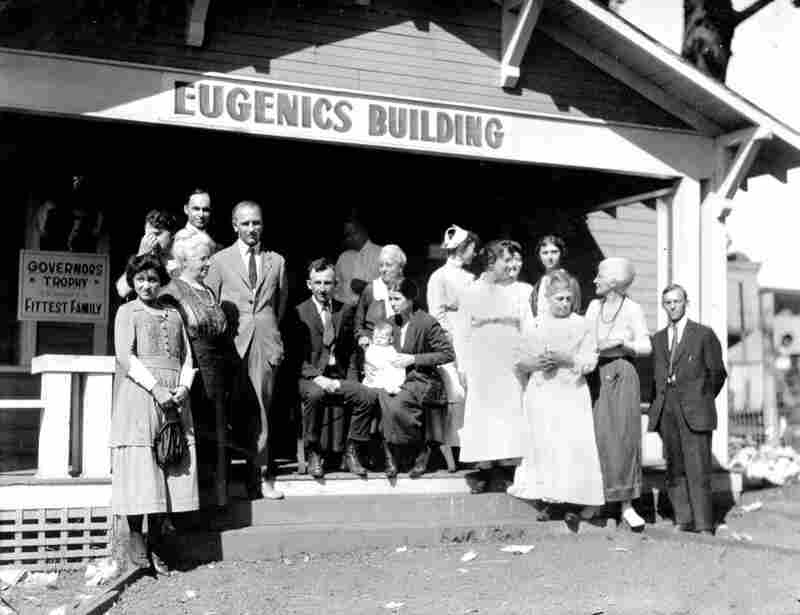 The American Eugenics Society was founded as a direct result of the Second International Conference on Eugenics, held in New York in 1921. Exhibits like this one, seen at an exposition in Philadelphia in 1926, were popular. Based in New Haven, Conn., the American Eugenics Society attracted the support of nearly every major American eugenicist. 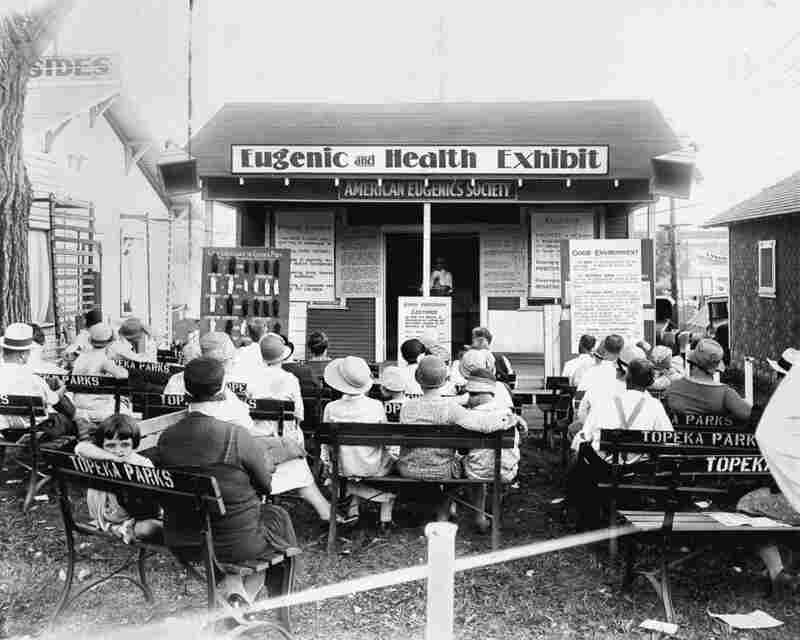 View of a "Eugenic and Health Exhibit" with crowd, Kansas Free Fair, 1929. 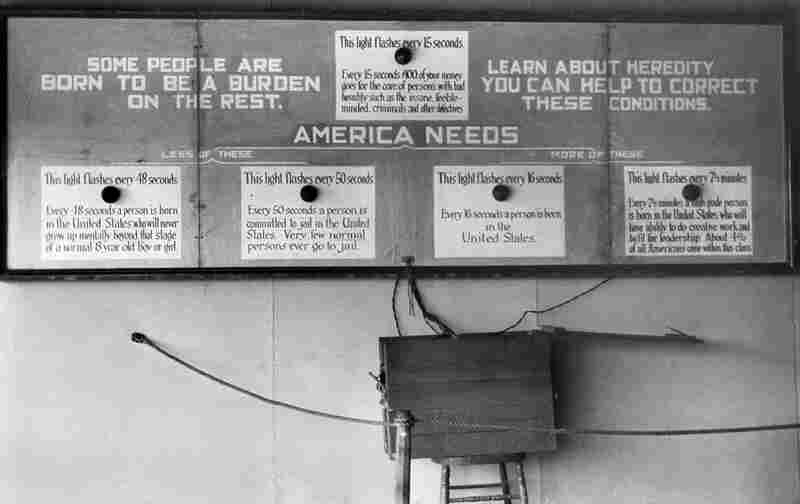 More an advocacy group than a scientific organization, the American Eugenics Society promoted general ideas to the public. Charts used at a Kansas Free Fair show types of marriage. 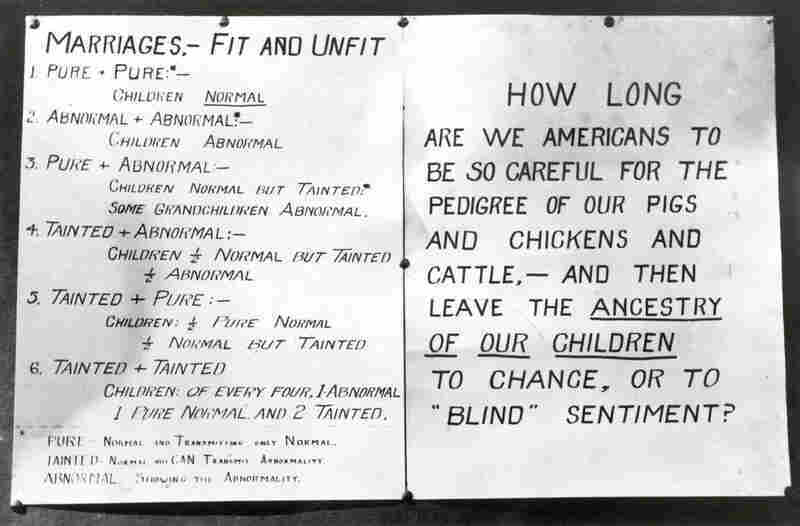 The American Eugenics Society organized a series of "fitter families contests" in which participants (divided into small, medium and large family classes) were ranked based on the mental, physical and moral health of family members. 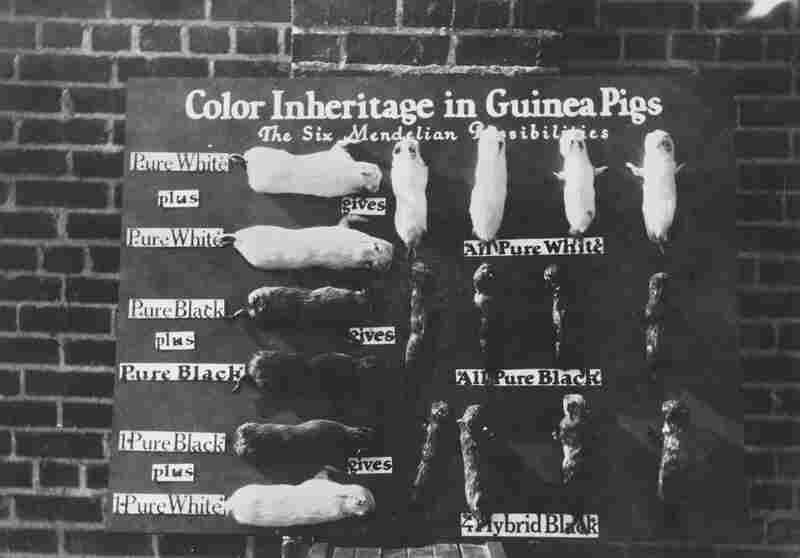 A display board shows "Color Inheritage in Guinea Pigs," 1926. A sign with flashing lights used with the first exhibit at a fitter families contest reads: "Some people are born to be a burden on the rest. Learn about heredity. You can help to correct these conditions." 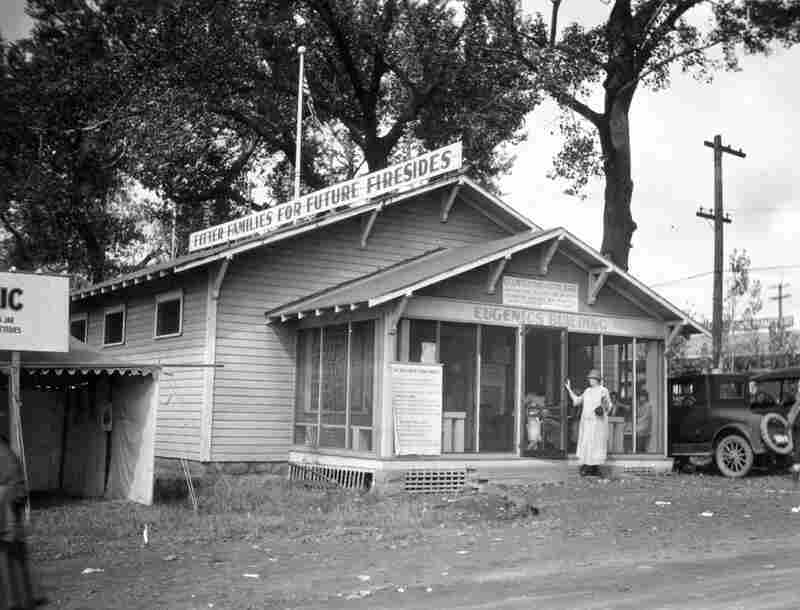 An exhibit and examination building is marked with a sign: "Fitter Families for Future Firesides." 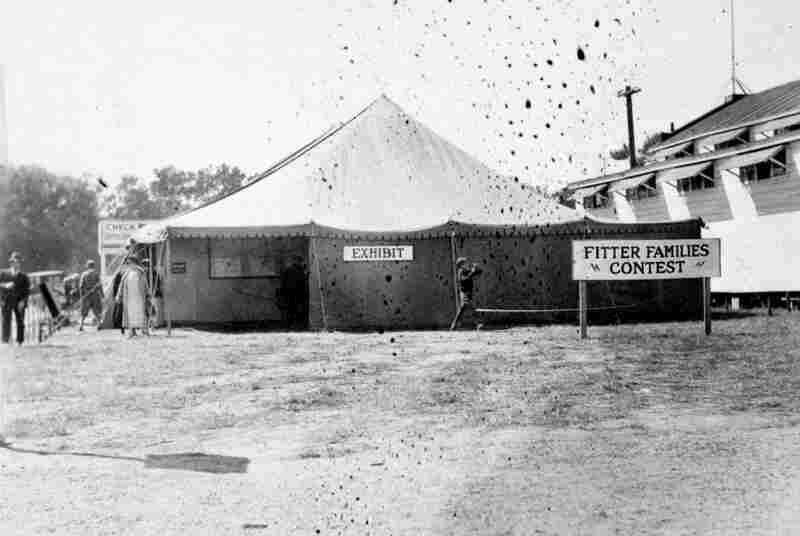 The "staff" of a fitter families contest, the photo's original caption indicates, pose at a Kansas Free Fair. An exhibit and examination tent at an Eastern States Exposition. A family competing in the "small family class" in a fitter families contest poses at an Eastern States Exposition. Fitter families contest "winners" at the Kansas Free Fair, 1927. 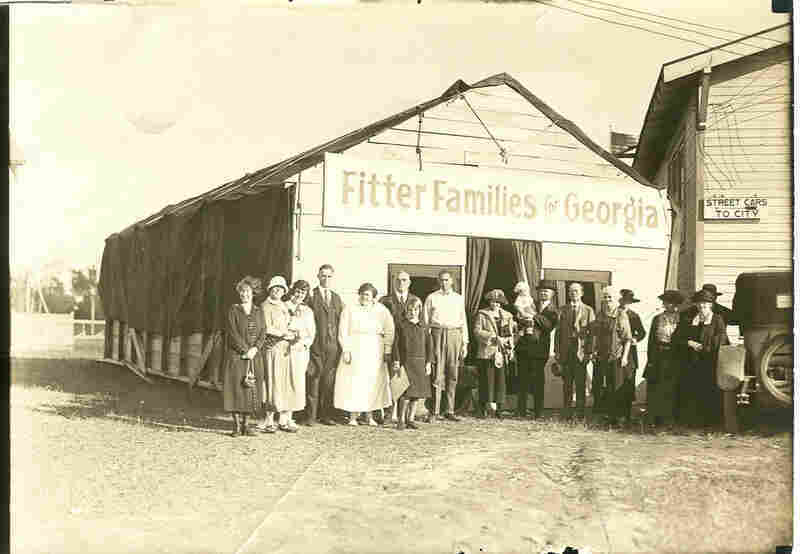 People pose outside the "Fitter Families" headquarters at the Georgia State Fair in Savannah, 1924. What is certainly the most intriguing — and probably the most numerous — collection of eugenics-related photographs can be found in a scrapbook assembled by the members of the American Eugenics Society, now in the holdings of the American Philosophical Society in Philadelphia. I learned of the scrapbook while doing the image research for a PBS documentary on the history of deaf culture in America, and it has always stuck in my mind as particularly disturbing and particularly American. Deaf people were a target for eugenicists from the beginning, with, most notably, Alexander Graham Bell advocating that deaf people should not marry. 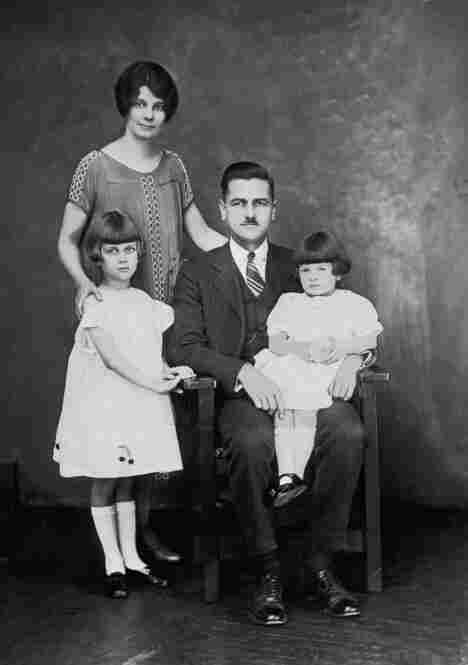 The movement considered many other attributes to be hereditary — from feeblemindedness, pauperism and criminality to promiscuity among women and even love of the sea. Love of the sea was pretty much a curiosity, but people with the rest of those "undesired" traits were in the sights of the movement as it sought to prevent them from marrying or having children, often through forced or coerced sterilization. 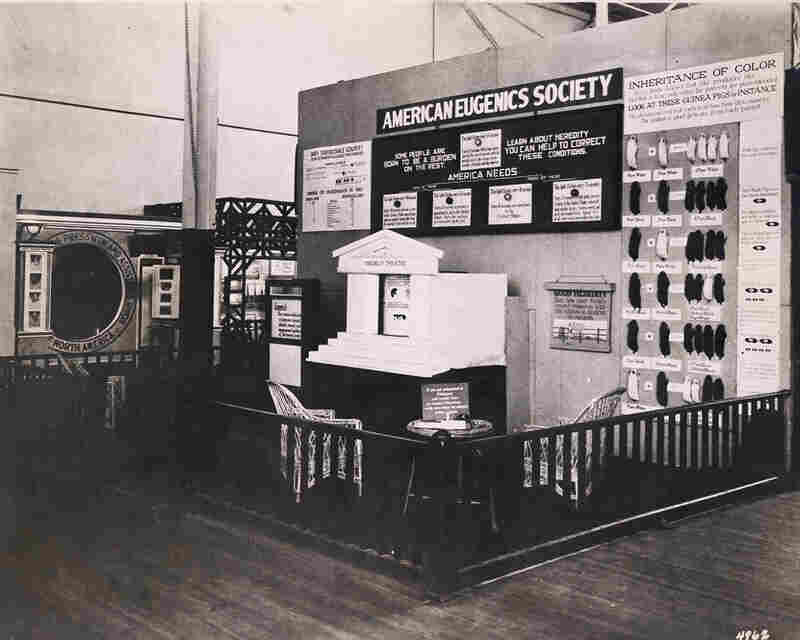 The scrapbook at the American Philosophical Society features eugenics activities at several state fairs: public presentations, examination buildings and "fitter family contests." In a way, this makes perfect sense. Born out of a society that was still making the transition from agricultural to industrial, much of the eugenics argument was based on the idea that we selectively breed our livestock for desired traits; why not do the same with human society? As one sign asks, "Are you a thoroughbred?" On the other hand, this system of beliefs reached full flower in the extermination camps of Nazi Germany, and seeing its earlier stages in the wholesome setting of Midwestern state fairs, with folding chairs under the shade trees and the science-fair quality of the displays, is creepy in a way that few things are. 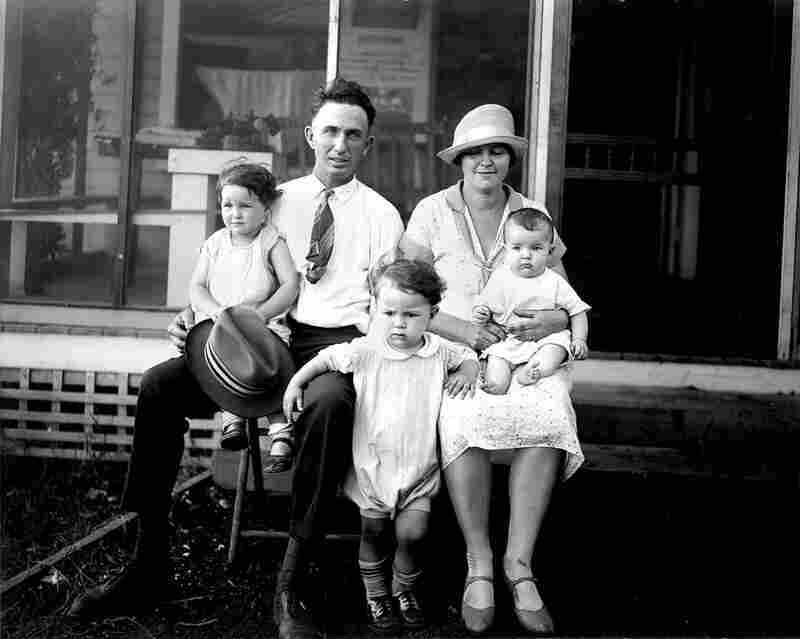 Looking at the winners of the various fitter family contests, now that a few generations have passed, I can't help but wonder how these families from small towns in Kansas, Michigan and Georgia have played out. Found in the Archives, a Picture Show miniseries running at the beginning of each month, features archival films and found images selected by researcher Rich Remsberg.